Perspective in photography refers to the dimension of objects and the spatial relationship between them. It also relates to the position of the human eye in relation to the objects in an image. Perspective may change the way an object looks, depending on the object’s size and distance from the camera. In photography, perspective is another illusion you use to produce photographs of quality composition. When you are making pictures, the camera always creates perspective. Because a camera automatically produces perspective, many novice photographers believe there is no need to know much about it. This attitude is far from correct. When you know the principles of perspective and skillfully apply them, the photographs you produce show a good rendition of the subject’s form and shape, and the viewer is given the sensation of volume, space, depth, and distance. Additionally, the photographer can manipulate perspective to change the illusion of space and distance by either expanding or compressing these factors, therefore providing a sense of scale within the picture. In the sport of purebred dogs these same principles apply. In our breed there is a line of dogs that have become very popular. Only a few years ago there would have been no market, and no desire, for dogs of this quality. Straight fronts, bicycling rears, exaggerated type and movement combine to produce caricatures of a breed defined by its moderation. What makes this type of dog become the embodiment of the standard in some breeder’s eyes? The answer is found in the perspective of the people who own dogs from this line and their reasons for being involved in showing dogs. It is ridiculous to pretend that no matter how well a dog may fit its standard, if it only wins occasionally, or seldom gets the “right” kinds of wins, showing that dog is satisfying. To many newer breeder/exhibitors, the view from the BOB place marker is the greatest determiner of breed type. This is the perspective automatically produced by winning. But what caused the win? Was the winner deserving because it fit the standard better than the competition, or because it was the best of what was before the judge that day. 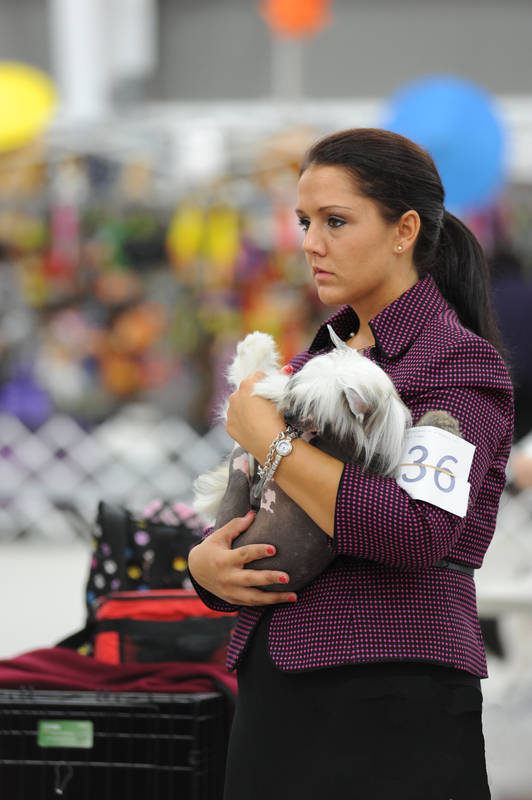 From the judge’s perspective, the dogs are supposed to be judged against the standard. More often, the relationship of the judge’s eye to the dogs in his ring creates its own perspective. If the entry is a litany of mediocrity, while fitting the standard, the dog with that something extra: ring presence, incorrect, but flashy movement and a good grooming job will stand out. The principles of perspective, skillfully applied, influence the judge’s view and make a picture suggestive of more quality in the dog than its structure provides. The ability to change the judge’s perspective is critical for a faulty dog to win consistently enough to be noticed. Such a dog emerged in our breed a few years ago. Shown at first in a part of the country where there are sufficient numbers for majors and a Best of Breed win captures many points, this dog soared to the top of the stats. Some splashy, well placed ads followed. The illusion was complete. From a ringside perspective, this dog gave the impression of what the standard calls for. While not a good example of what the breed was developed to be, his record could not be disputed. Since this dog has not been used at stud often, he has had little effect on the breed in general. What paved the way for this dog’s success and ultimately the success of his line in this country? Breeding dogs is not easy and each standard allows for personal interpretation by skilled breeders. Maintaining perspective about one’s line is difficult and today’s breeders don’t keep more than a few breedable animals in their homes at any given time. If the animals bred have faults difficult to overcome through limited breeding, they are perpetuated. As dogs in one line show the same faults across generations, their breeders’ perspective is changed to view these deviations from the standard as acceptable and in fact correct. Additionally, breeders may over-emphasis one trait, usually one easy to change, like temperament, or head length. This approach produces dogs with critical faults in their basic structure but exhibiting some exaggerated traits now deemed virtues. Since most people choose stud dogs in their area, or those belonging to like-minded friends, faults spread from line to line within regions. These regions become like islands, limiting the development of a breed further. 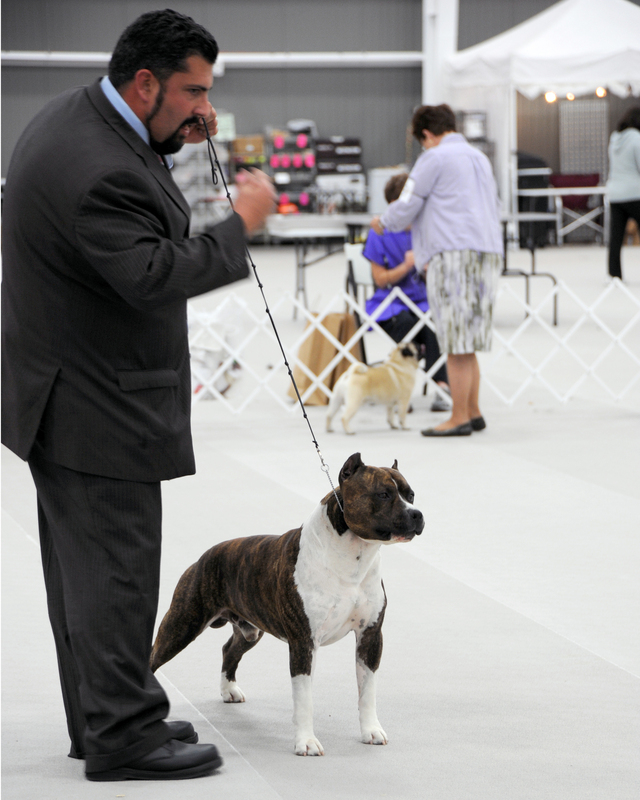 As these dogs make their way to the ring, judges see the same faults in most of the exhibits in front of them. 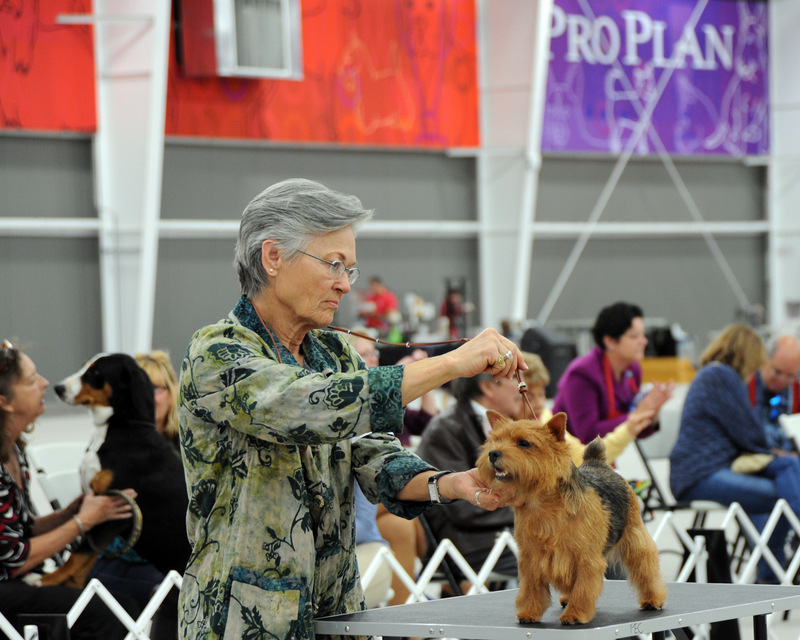 Within a few show seasons, this manipulation of breed type successfully changes the perspective of breeders, handlers and judges. If a dog emerges, with the same faults but exhibiting more showmanship or ring-presence he is perceived as more correct and worthy of winning. If his handler is smart, the dog will be campaigned consistently in the area where he has fewer dogs of real quality to overcome. This was the evolution of our breed’s latest imported phenom. 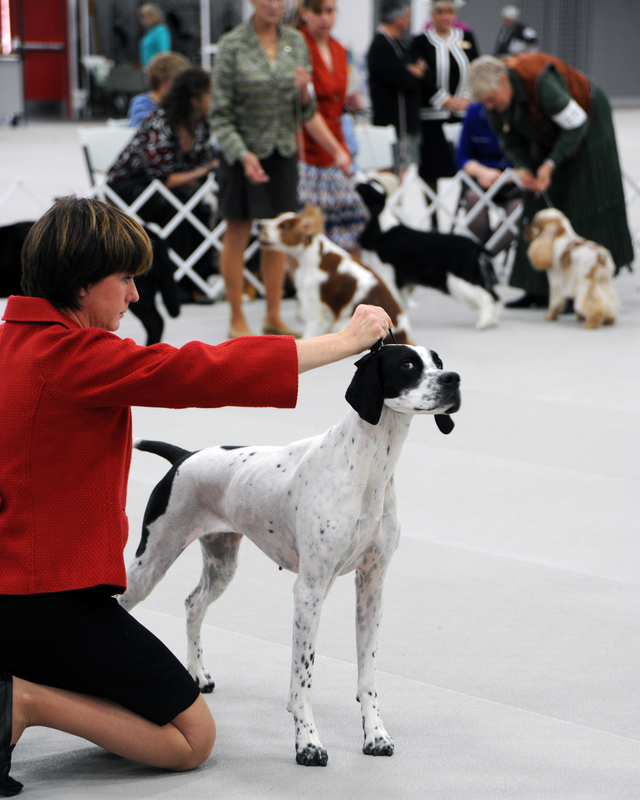 In today’s dog show culture, game changing dogs are seldom brought to the ring by veteran breeders. Instead, they come from exhibitors with the money to buy the dog, but not the knowledge to properly apply the standard to it. These people look outside the country for a dog that will make them sure winners among their peers. There seems to be a prevailing attitude in our breed that dogs coming from outside the country are somehow more authentic. Exaggerated, foreign bred dogs appeal to the American lust for more is better. People looking for the exotic gravitate to European breeders whose splashy websites tout their show ring successes. Sometimes these dogs are of sufficient quality to do some winning. 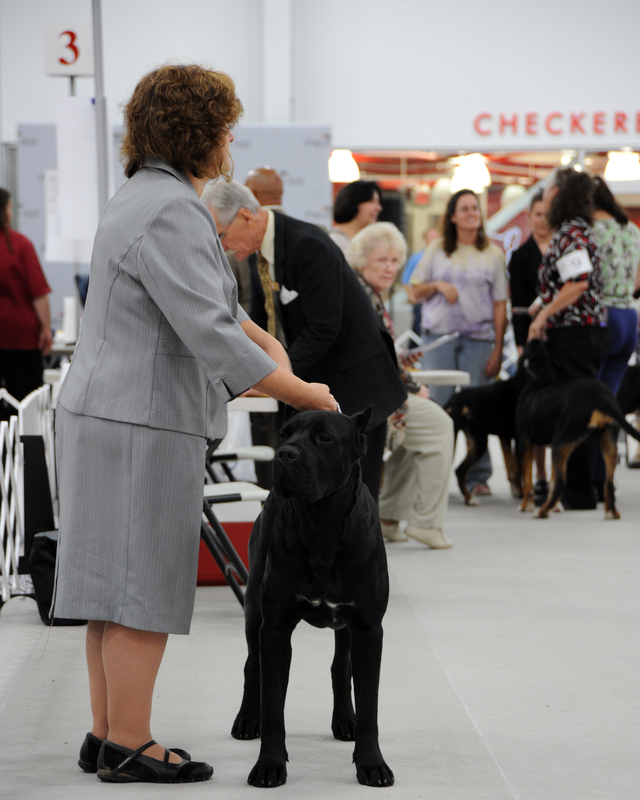 If they do a lot of winning, as a few have, naive exhibitors perceive all dogs from those lines as being superior. And since winning creates its own perspective many never question whether their view is accurate or just immediate. Twenty years ago, the lack of diversity within European bred Kerries produced dogs with faults American breeders had overcome. With a more diverse gene pool and more opportunity to breed across lines, American dogs came closer to the standard, than their European counterparts. During those years, a few truly outstanding dogs made their way to the US and were successfully incorporated into American lines, strengthening them. Importation was judicious and done by master breeders with close ties to a few lines in Europe. 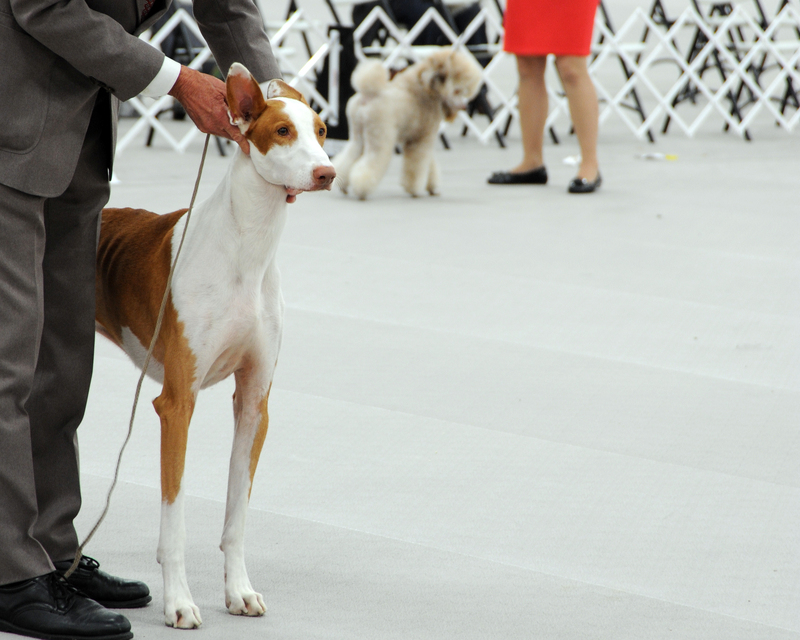 As the quality of American Kerries has degraded, their conformation more closely approaches that of dogs produced by European breeders today. 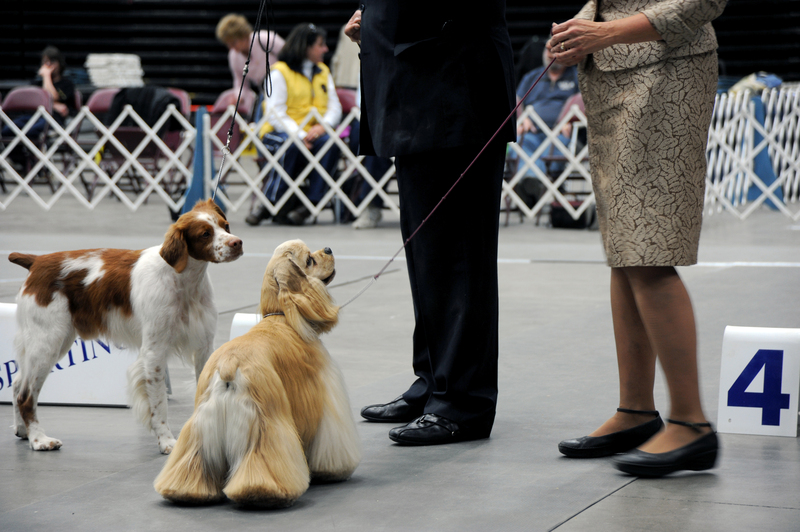 The internet has made the world of dogs smaller and the door has opened for more imported dogs to find success in AKC shows. The demand for puppies from foreign lines is high. At this year’s Montgomery weekend, the presence of the imported dogs was felt. Some of the winners came from established European lines, but more were American. Imported dogs won their share, but did not dominate in all classes. Movement and type were virtually indistinguishable. Less than skillful breeders, on both sides of the Atlantic, who produce dogs that win regardless of their quality have no incentive to change direction. As a result we are left struggling with mediocrity and dangerously close to losing correct breed type. Our dogs appear more flashy, but hardly more sound. This forces an unintended change in perspective affecting us all.